There was a time when choosing a good web hosting company was a chore. But now, there are countless web hosts that provide quality service. However, that doesn't mean there aren't hosts you should probably avoid. While GoDaddy is one of the more poplular ones, and is always offering godaddy promo code discounts , they may not be suit your particular needs. Here are some questions to ask that will help you on your web host search. Uptime refers to the amount of time the web host guarantees your website will be accessible. Sometimes, due to technical difficulties, a website will be offline. If you have a business, your site being offline for too long or at the wrong time could end up costing you money. Many hosts promise to deliver an uptime of between 99% and 99.9%. No one can really guarantee your site will never be offline due to some technical glitch. But, for a good web host, maintaining the best uptime possible is a top priority. A good web host will have good customer service. Good customer service shows that they actually care about the customer's needs, and will do their best to meet those needs. Your web host should offer customer service 24 hours a day, 7 days a week, holidays and weekends included. And the more ways there are for you to contact customer service when you have a problem, the better. Good web hosting companies will offer customer support via email, a toll-free telephone number, and live chat. How Much Disc Space Will You Get? How much disc space you need will depend on the kind of website you plan to have. If you're going to have a small website with 25 or so pages, a blog you update once a month, and few graphics, you probably won't need much disc space. But if your site is going to be big and busy, or you plan to store a lot of software programs, mp3 files, pdf files or graphics there, you will have larger disc space needs. Fortunately, there are many affordable web hosting plans that offer unlimited disc space. How Much Bandwidth Will You Get? Bandwidth is the amount of data that can be uploaded or downloaded by visitors to your site over a certain amount of time, usually a month. In fact, someone just visiting your site uses up bandwidth. Once your bandwidth allowance for the month is gone, your website will be inaccessible. 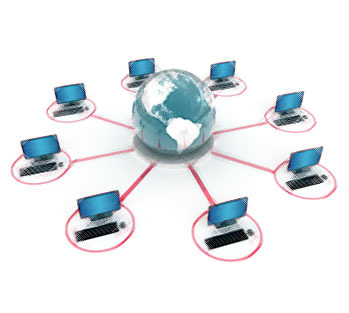 Many web hosting providers will give you unlimited bandwidth. Those who don't will sometimes allow you to purchase more bandwidth so you won't run out before the month is over. The type of control panel a web host uses will affect how easy it is to manage your site. Many web hosting companies use cPanel, which is well known for being easy to learn and use. Other hosts choose different control panel options. Customer reviews are a great way to find out whether a hosting company's control panel is user friendly. Choosing the right web hosting company can be a challenge. But asking and answering these questions can help narrow your search, and choose the web host that's right for you. Drew Davis has been building websites for over decade, and has analyzed and compared countless web hosting companies. Now, he's using his knowledge to help others find high-quality web hosting services.